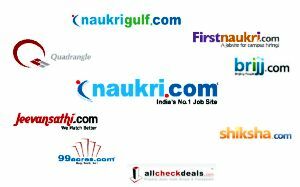 Info Edge (India) Ltd, which runs the top recruitment site Naukri.com and other classifieds like Jeevansathi and Allcheckdeals, has, on a consolidated basis, recorded net profits of Rs 63.14 crore, up by 21% from previous year, riding on the growth of recruitment and real estate business segments, the company said in a statement. The net sales grew by 35 per cent to Rs 321.73 crore from Rs 237.08 crore in the previous financial year. The company has, on a standalone basis, recorded net profits of Rs 83.97 crore over net sales of Rs 293.62 crore for the year ended 31st March 2011, compared to Rs 232.22 crore in the year ended March 31, 2010. Info Edge has been active on investments in the quarter as it recently invested Rs 19 crore in two online firms - New-Delhi based Kinobeo Software Pvt Ltd, which runs group buying site MyDala.com, and Etechaces Marketing and Consulting Pvt Ltd, which runs Policybazaar.com, a website for financial products comparison. Its operating EBITDA is now up 46.7 per cent at Rs 97.7 crore on an annual basis. The EPS was at Rs 15.38, up from Rs 10.43 in the previous year. Ambarish Raghuvanshi, CFO and Director, Info Edge (India) Ltd, said, "There is a significant increase in net sales and margin as a result of an improvement in the recruitment and real estate segments and in the competitive position. This augurs well in a continued robust economy." Info Edge owns and manages Naukri.com, Naukri Gulf, matrimonial site Jeevansathi.com, real estate portal 99acres.com, education portal Shiksha.com, Quadrangle, an an offline executive search firm, as well as Brijj.com, a professional networking site and Allcheckdeals.com, an online brokerage firm. Jeevansathi had 4.1 million users as of December 2010. Its recruitment solutions segment (which comprises Naukri.com Quadrant and Naukri Gulf) grew at 24.1 per cent while the real estate vertical (with 99 acres.com) grew by 71.9 per cent, lower compared to the 76 per cent growth seen in the December quarter. Info Edge has recorded EBITDA losses for its other verticals to the tune of Rs 12 crore, lower than the Rs 13.68 crore recorded in the year before. The online property portal 99Acres.com has broken even and generated a profit of Rs 0.39 crore, the company has revealed. In the previous investor conference call, the company CEO Hitesh Oberoi had said, "99acres has had great year this year, for the first nine months we grew at 75%, in terms of top line we had close to breaking even. The traffic share of the site has increased with 50 per cent and has been hovering around that mark for a while now. So we are clear leaders today. This is a huge opportunity in a big market in most of the other countries as well and there could be temporary fluctuations depending on what happens to interest rates but my guess is that our business will keep growing because we are still very very small in terms of the total adspend by real estate industry." 99 acres had less than 5000 brokers as of December 2010. The Noida-based firm appears to have added 200 employees in the last quarter and now has 1900 employees. It operates through 48 offices in 31 cities in India and overseas offices in Dubai, Riyadh and Bahrain catering to the Middle East market.